It’s always good to get a different perspective on things so today we wanted to share some thoughts on Texas from Kacey, a fellow blogger, who recently visited Texas for the first time. 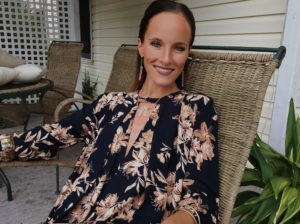 Kacey is originally from Pennsylvania and started her eclectic lifestyle blog, The Drifter Collective, about a year and half ago. We love the energy and excitement that comes through in Kacey’s writing and we are happy to report she loves Texas as much as we do! Texas is about as far south as you can get in the states. It’s as big as… Well, it’s big. While I was deciding on my next road trip, I had a bit of fun using the app MAPfrappe to superimpose the state’s shape all over the world, on top of France (which is 10 percent smaller), for example. You may also find these other road trip apps helpful. You definitely want to pass some time in El Paso. It’s the largest American city right on the frontier of Mexico. It was hot, but amazing, with interesting food and diverse cultural attractions. My favorite place to get some grub had to be the Mexican hot dogs at Doggos, which were unique and ridiculously delicious. I almost pitched a tent and moved in. The Juarez style hot dog has bacon, beans, nacho cheese, relish, mustard, mayo, tomato, onions and your choice of sauce. I did chipotle. Then, I ordered another. No regrets. 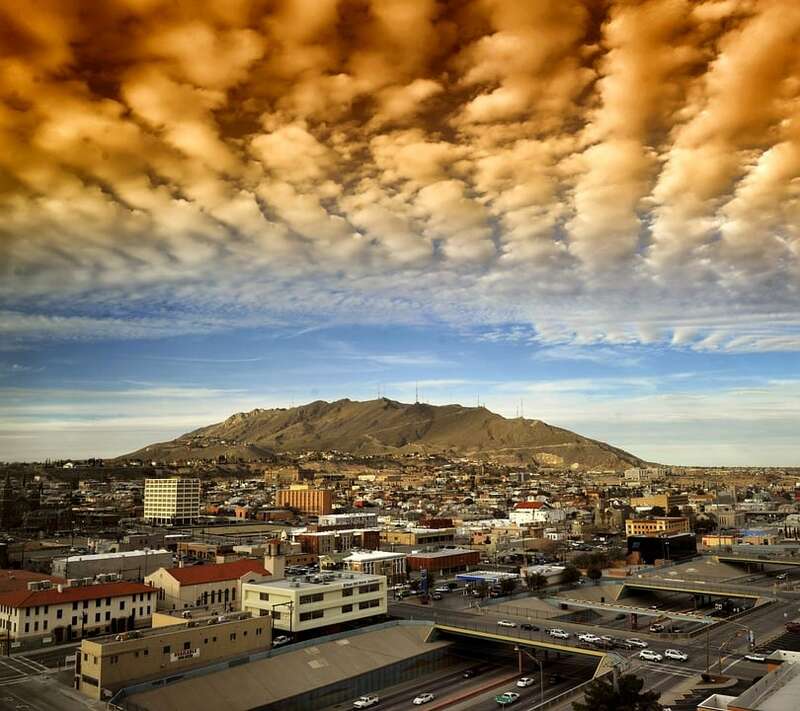 El Paso is one of the car-friendliest cities in the country, which seems surprising in a state so ginormous. The roads were better than I thought, as I made my way out 100 miles east from El Paso to the Guadalupe Mountains National Park to observe El Capitan, the eighth highest peak in the state, and the desert wildlife. There are miniature wild pigs called javelinas, and over ninety species of butterflies! If nature is your thing, be sure to also check out the Hueco Tanks State Historic Site, 32 miles northeast of El Paso, which features ancient rock paintings! Of course, you go to San Antonio to see the Alamo and take in the history. In 1835, during Texas’ war for independence from Mexico, 200 Texans faced thousands of Mexican soldiers and held out for 13 days before being overpowered. The site is a symbol for courageous resistance, and you definitely feel that power in person. There are also four other missions that are a part of the San Antonio Missions National Historic Park to visit for the full experience. That said, there are a number of unusual attractions in San Antonio to check out. Two blocks from the Alamo, you’ll find the famous River Walk—a below street level labyrinth of walkways that follow the banks of the San Antonio River toward downtown. There are cute boutiques and amazing restaurants to try. Nearby is Ripley’s Believe It or Not Museum and Ripley’s Haunted Museum for the mystery-minded. Houston is definitely huge, and the traffic is definitely a headache compared to El Paso. I made the mistake of going to the mall at the height of traffic congestion. I should have known better. 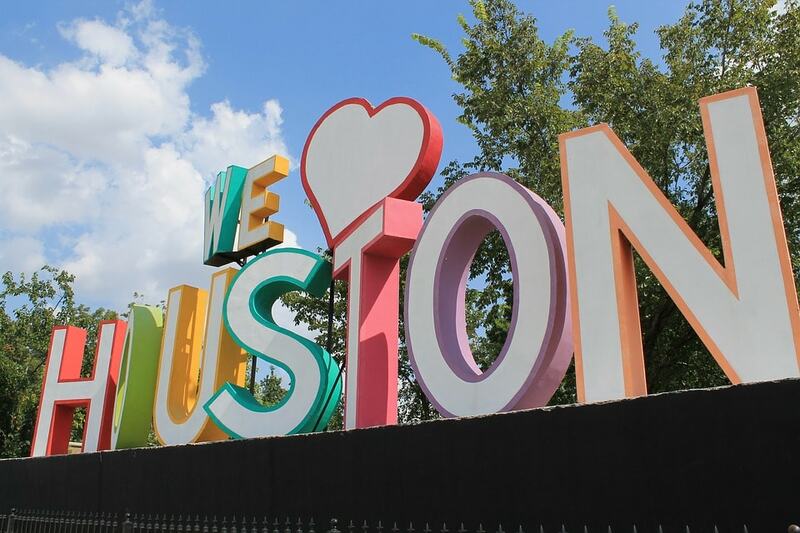 There were some interesting things about Houston that I’ll list for you to check out, but I didn’t linger as long in the city as I’d have liked. The Menil Collection is a must-see for art enthusiasts and collectors. Entry to the museum is free, and it’s a nice break when you’ve been road tripping and visiting historic sites in the desert heat. It’s also handicap accessible. The Menil collection itself features the private collected works of previous founders John de Menil and Dominque de Menil, but it also boasts works by famous masters artists such as Magritte, Duchamp, Warhol, Pollock, Rothko, Matisse and Picasso. For art and history fans, included in the collection are works from the Byzantine and Medieval periods, as well as works of Tribal art. It probably sounds silly for me to tell you to go to the zoo, but go to the Houston Zoo! As one of the most popular attractions in the city, the zoo gets nearly two million visitors annually. Featured are over 6,000 exotic and indigenous animals in space of 50 acres within Hermann Park. There’s a Japanese garden and outdoor theater. You can also feed the giraffes! 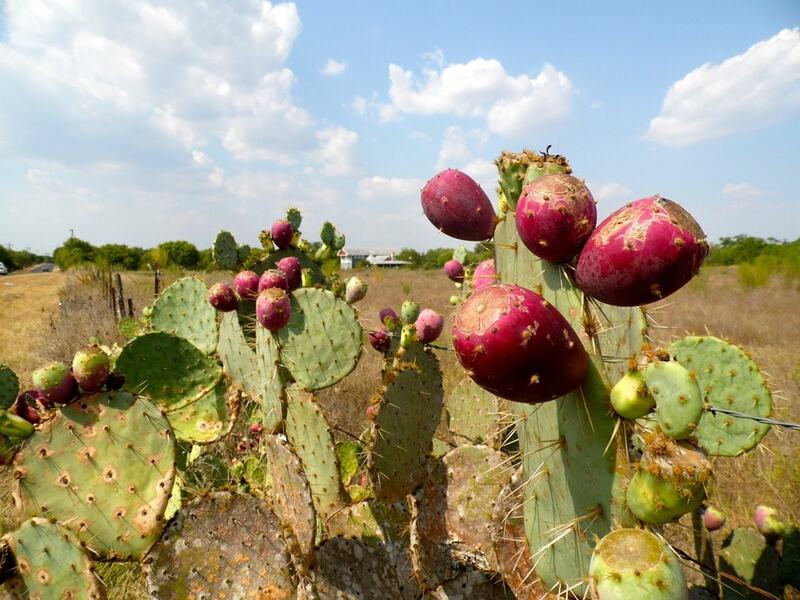 From Mexican hot dogs, to javelinas, to the Alamo, to Picasso and feeding giraffes, Texas is filled with diverse historical and cultural attractions. Yet, the best adventures are to be found off the beaten path. Eat unique food in small, local restaurants. Visit the less mentioned but no less important museums where brave soldiers fought for their freedom. You can stand before art that spans centuries and feed a giraffe in the same day. If you go to Texas, carve your own path. It’s worth the gas and the memories. Don’t you agree? Try Mexican Hot Dogs in El Paso. If nature is your thing, check out Guadalupe Mountains National Park or Hueco Tanks State Historic Site. In addition, to the Alamo be sure to check out the Riverwalk, Ripley’s Believe It or Not Museum, and Ripley’s Haunted Museum. While in Houston, be sure to see the Menil Collection and the Houston Zoo. 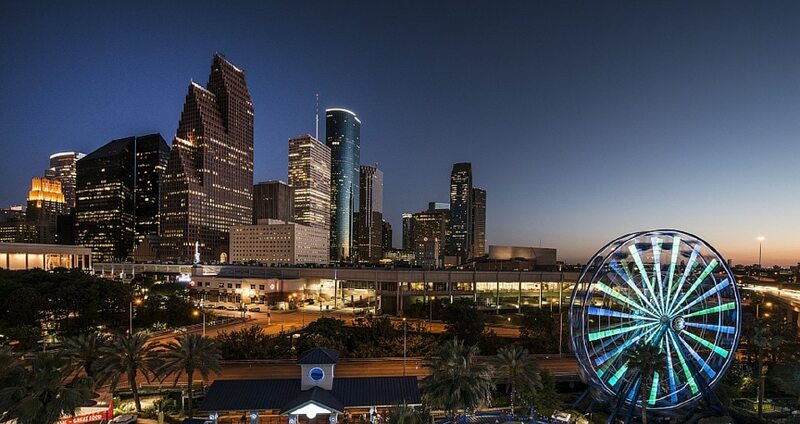 If you time your visit right, you need to check out the Houston Livestock Show and Rodeo. I’ve been to Texas before a long time ago (in my teens) for a family reunion in San Antonio. Of course, we went to the Alamo and did the River Walk. It was pretty neat! I would like to go back there as an adult so I can appreciate more! Thanks Samantha, glad to hear you enjoyed your trip to Texas. Hope you make it back to see more! I haven’t been to Texas but whenever I read blog posts about it or see a photo of it, it looks really overwhelming for me. Lol. It’s just so big isn’t it? Noemi – Yes that is part of the draw! We both still have lots of Texas to explore. So yes of course you can’t see it all. I would recommend starting with San Antonio and Austin. I’ve never been to Texas (I’ve notoriously seen more of the world than my own country), but I do hear it’s beautiful and the food is great. This is a great overview on what to see too, should I ever get there. I have never had true Tex Mex, haha, maybe I need to go and give it a try down south! Kristina – Yes you must go to Texas. I love Tex-Mex food so you definitely need to try the real stuff! I’ll be honest: The only place I’ve ever gone in Texas is Austin (I know, I know…), but in my defense it’s a hard state to plan an itinerary for! These are some great ideas and now I’m actually thinking of tacking El Paso onto an Arizona / New Mexico road trip. Erica – Austin is definitely a great city to visit. And yes a road trip through Texas is fun. I have driven between Dallas and Phoenix, its a long trip! OMG, lovely photos – especially the one with the clouds! My husband’s been to Dallas and he keeps on raving about the food! I think it was a good thing you didn’t have food photos – I’d probably get hungry if I see a baby back rib while having dinner! Sarah – you are so right about the food. Personally, I love the Tex-Mex and the BBQ. Zoe – Glad to hear it. If you are short on time I would focus on San Antonio and Austin. El Paso is quite a ways from everything else. Texas is huge! Joanna – Yes, I really love the Riverwalk so you should definitely do that when you visit Texas. We were in America a few years ago however we didn’t get to visit Texas! Such a shame but that gives me a great reason to come back right? Hehe. I’ll definitely take note of your tips! Johna – Yes the US is huge so no way to see it all in one trip. Hope you make it back soon! Never been to Texas but have heard so much about the food! When is the best time to go there though? I would say my favorite time to visit Texas is the spring because the bluebonnets are in bloom. The summers are pretty hot, so I would avoid that time unless you like really hot weather. 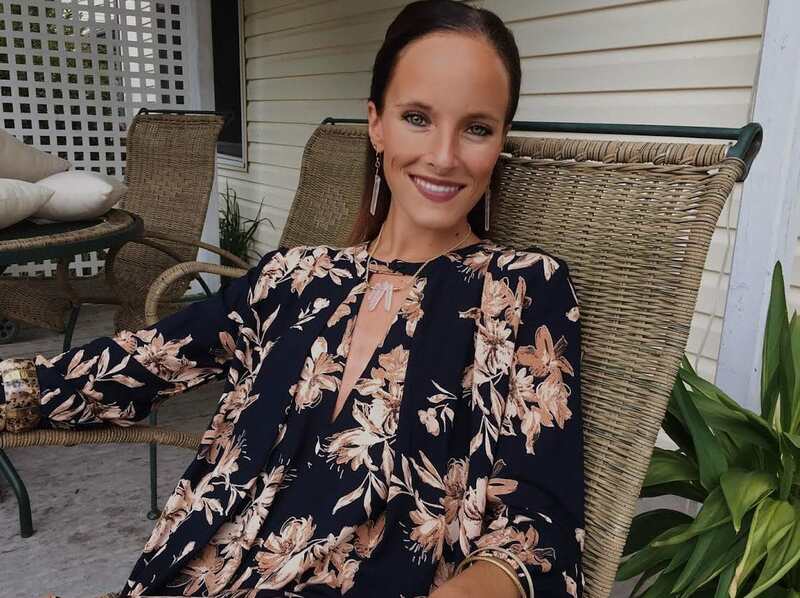 What a guest post Kacey! I didn’t really know much about Texas except it was south! My partner is currently working in America- so I am really hoping I get to experience it soon, I have never been! I reckon I would love the food in Texas!! Thanks Kayla. I hope you make it to Texas. Yes, the food is so good. I am partial to the Tex-Mex and BBQ.